speak with one of our attorneys for FREE. with an attorney by dialing 800-662-8813. Here is an article from our blog you may enjoy. Bankruptcy is a serious decision and one that requires as much information as you can gather. There are lots of myths and misconception about bankruptcy as we are sure you are finding out. 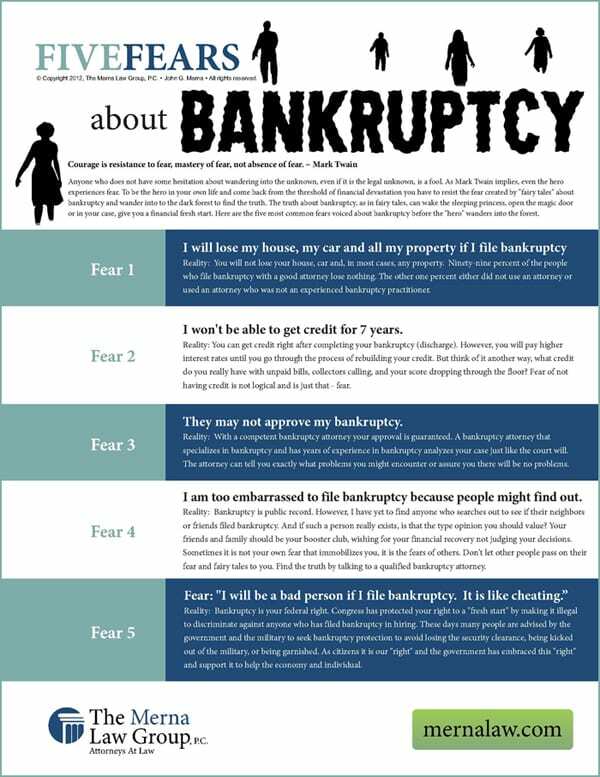 Here are five fears about bankruptcy for your consideration. Click the graphic below for a PDF version.